In alignment with the objectives of the Qatar National Vision 2030 (QNV2030), we are fully committed to sustainable development of Qatar and through a path of innovation we continue to invest in opportunities for the long-term growth and the success of our operations. Through this, we seek to maximize our contributions to the economic, social, human and environmental development in Qatar. Our viability and growth as a company is dependent upon how we listen and learn from our stakeholders to become more efficient, and through discovering new product applications and processes. Sustainability governance is directed by our sustainability management team who regularly review the company’s economic, social and environmental performance. The team, which includes the Managing Director and CEO, provides insight and oversight on sustainability issues and both risks and opportunities for the company. Sustainability management oversight at the Board level is an important demonstration of our commitment to company-wide integration of sustainability. We produce an annual Sustainability and Financial Report (Integrated Report) which provides an account of actions and performance data relating to a range of business, economic, environmental and social issues that make-up our sustainability performance. See the latest report here. 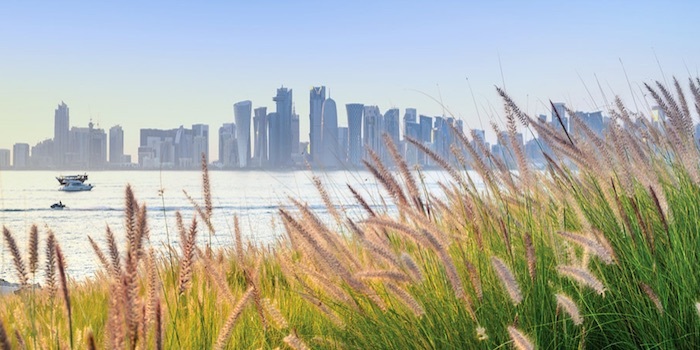 QAPCO’s sustainability strategy guides our reporting and sustainability management program. Our strategy focuses on five strategic areas where QAPCO creates value for its stakeholders.